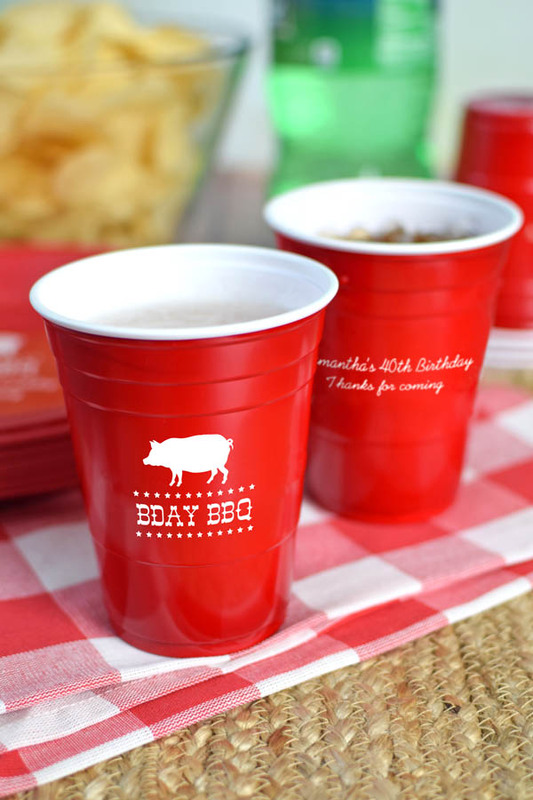 Perfect for an outdoor birthday party, BBQ, or backyard bash, decorate and celebrate with disposable, custom printed solo cups personalized with a fun adult party design and your own custom text. Our most popular cup size, these 16 ounce Solo cups are your typical sized Solo cup. Ideal for serving beer or soda. Made from disposable, soft-sided plastic. Personalized with an adult birthday design and your own custom message. Choose from 3 cup color options. The cups turned out exactly as I asked. Vendor was very easy to work with and quick delivery. Will buy from this seller again. Better than expected, company is very professional and helpful. Product was as advertised. Price was great. Delivery was prompt. I only wish the proof was in the actual colors chosen. I would have changed the colors if I could have seen it in real colors. Other than that I'm satisfied and would order from them again. Excellent ordering process, order completion and customer service. The product was fantastic - A huge hit. But more importantly the customer service was outstanding. From the artwork to delivery this is a fantastic company. If you have an issue they do not hide - they call you back and rectify the situation immediately. I will be a repeat customer. I bought these cups for a family reunion. The print on the cups is well done and I am happy with them. Very Pleased with product and arrived in a timely manner.